After my 'weird' meteor question seems to have been solved (many thanks to all who answered, by the way), I have a second query that is probably just as easy to explain! I was taking a few photos last night, getting the camera set up to try and capture some meteors, when I saw several small, quick single flashes in the sky (with my eyes, not through the camera)! They were bright enough to capture my attention even when not looking directly at them. The flashes were spread out over a couple of minutes and I actually managed to capture two of them in consecutive frames, making them about 20/25 seconds apart. They didn't appear to be in a straight line, although all were in the same area of sky. The two I caught were between Ursa Minor and Draco. I'm guessing they could have been tumbling debris catching the sun, but if they weren't in a straight line, then that wouldn't be possible, would it? I can't swear that they weren't all in a line, though, and as you can see, it was invisible when not flashing! 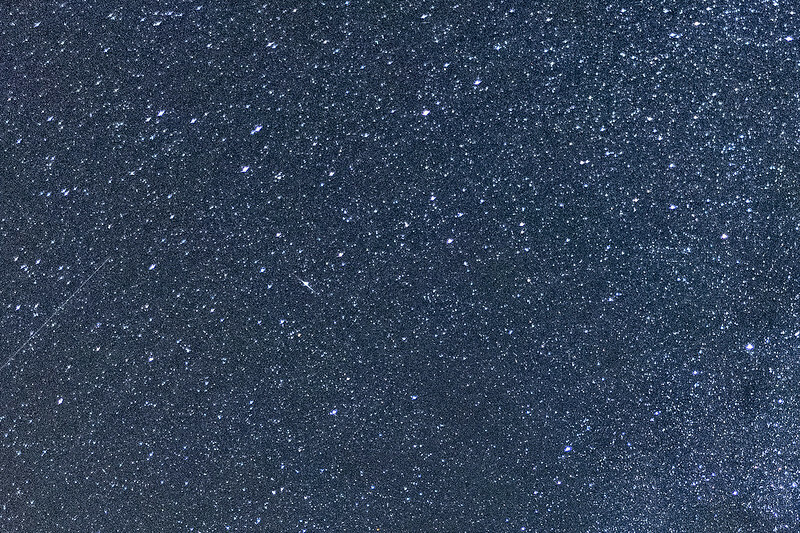 I have attached crops of the two 15 second exposures showing that the flashes were pretty bright and very brief. Childersa, rickg18704, Juno16 and 1 others like this. You have already answered your question. Most likely space junk or even satellites tumbling. There are various websites that will help you identify what you saw. Heaven's above is one of them. Yes, definitely something shiny in orbit catching the Sun's rays briefly. I like the wide-angle shot. You have both M31 and M33 in there. Childersa and Juno16 like this. 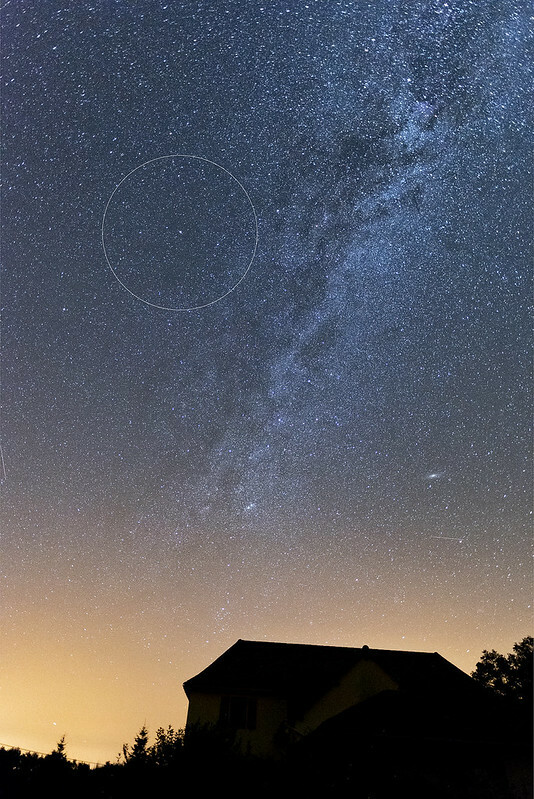 Love the widefield image - did you also catch a meteor below M31 in that image? Thanks for the replies again....and no I didn't, Bob, that's just a satellite. I was just checking the focus and settings on the camera for that image, hence the house is nowhere near upright!! I did catch a small one later in the evening (top left) but managed to miss all the good ones! Looking forward to catching something at the weekend, though! j.gardavsky, kingclinton, hobbit1066 and 4 others like this. That is another fine image - the sky is a busy place, I see. Nice catch on the meteor, and all the other traffic that is passing through. Good luck over the weekend! Your 'debris' looks like a red convertible car! ETX60. Meade 10" LX90GPS, 10x50, 15x70, zoom12-100x70 binoculars, Canon 3Ti, Meade infinity 102mm. 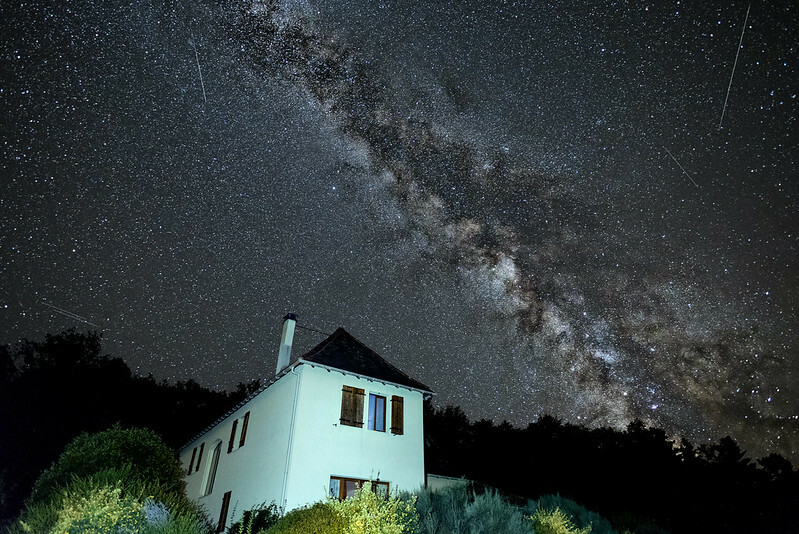 Beautiful dark skies. Some great wide angle shots. Thanks for sharing.